Normally, if you get 'No Signal' or 'Technical fault' on your Sky or Freesat box there is a solution: What can I do when my Sky Digibox says 'No Signal' or 'Technical fault'? However, if it has snowed you will also find the same message. And there is nothing wrong with your box, or viewing card. 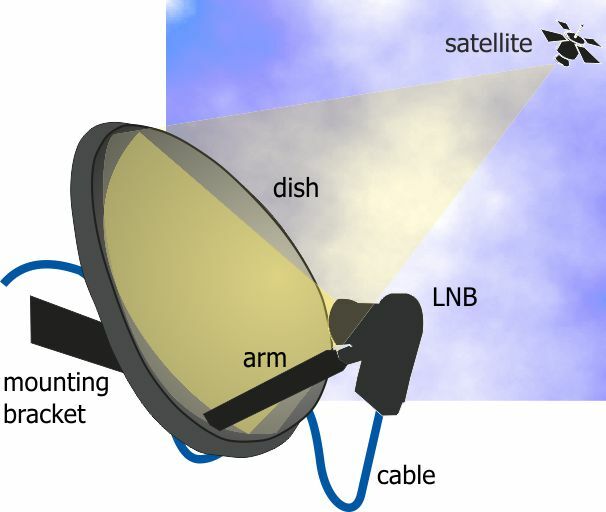 This time it is the simple matter of there being snow on the dish or LNB. (Image from Snow in Manchester! « davesull's Blog). The satellite signal will be scattered by the snowflakes, so you may wish to clear the snow from the dish. 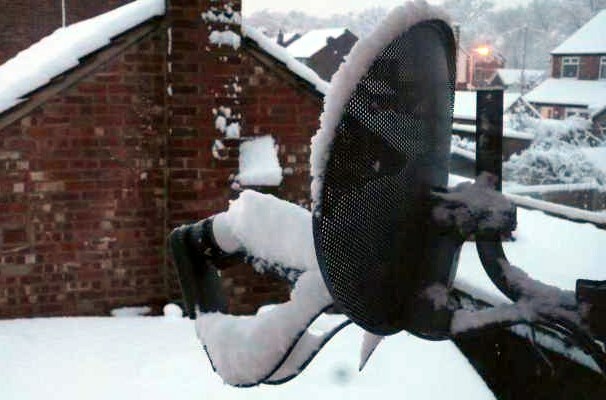 Remember to take care not to move the dish if you do this, and only remove it if you can do this safely. See Freesat reception - all about dishes - Free satellite - general - ukfree.tv - 10 years of independent, free digital TV advice for more. john: What is the model number of the Humax box referred to?